Nick Clark returns to Elevation Trail for an interesting conversation on his evolving race career, race directing, sponsorships in ultrarunning, and pacing duties at Leadville 100 coming up next week with Mike Aish. Hope you enjoy the show. Wow, what a full show. Going for 20th finish at Hardrock this year, former Hardrock winner, Nolans 14, second finisher ever of Barkley (with scandal! ), tinkering with nuclear weapons, and so much more. Join us today as we chat with Blake Wood from his bedroom closet. Keep your eyes and ears peeled for our next show when I talk with someone I consider the be one of the most underrated elite ultrarunners in our sport today. Can you guess who it is? Who do you think is the most underrated elite runner? Our next guest isn’t too shabby on a bike either! Check it out this week! Welcome to Elevation Trail and the Footfeathers Show. He’s tall. He’s lean. He races in crew length socks. 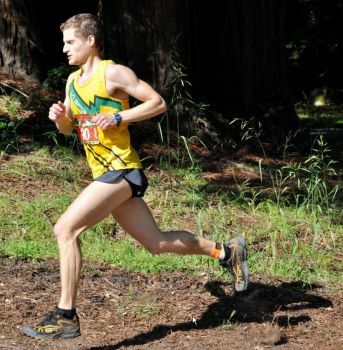 Join me on this edition of the Footfeathers Show where I chat with Dylan Bowman, who’s settling into his new scene in the Bay Area and gearing up for a good shot at contending for the win at Western States 100 in a few weeks. Hope you enjoy the show. Welcome back to Elevation Trail and the Footfeathers Show. In this show I have a professional master of pain joining me to discuss chronic pain and how it relates to the pain we endurance athletes encounter both during races and afterwards. Lara Harris-David is a Licensed Independent Clinical Social Worker in Massachusetts and, among other things, gives us some strategies on how to cope with pain. Sit back and listen or download to your ipod for your next pain-free run. Please comment with your opinions on the show, suggestions, and personal strategies on dealing with pain. Views from a TRT run Leor did recently. At one look, Leor seems like he’s the most focused and competitive runner at any given race. Blink once and he’s off on a running and photography bonanza with poignantly expressive images that only a true lover of the natural world could capture. It seems as though he lives a dual life in running with a distinct demarcation between two equally passionate halves. 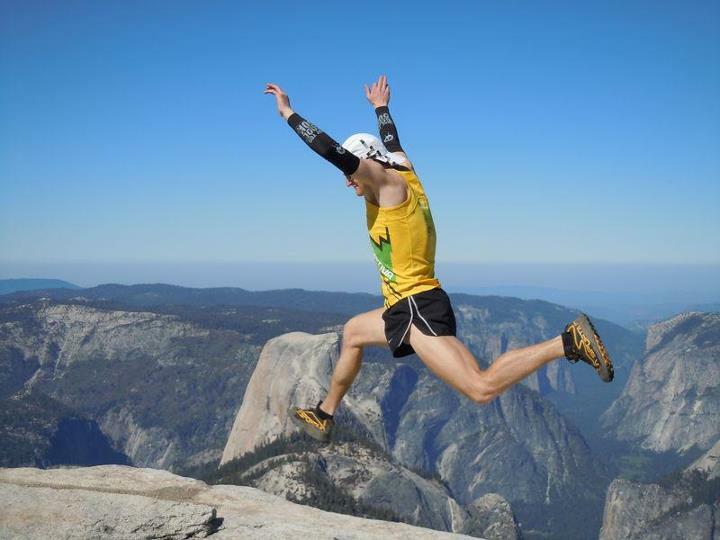 As a competitor, the La Sportiva Mountain Running team member has never had anyone cross the finish line in front of him since February… of 2009. 25 races in that timeframe, 25 wins he’s enjoyed, including Ohlone 50k, Way Too Cool 50k, Quad Dipsea, Quicksilver 50 mile (and 50k), and Skyline 50k, most of which by course record times. As an adventure runner, he explores and chronicles locations where the beauty and remoteness blend into a dreamlike state where one forgets about the arduous 10-20 hour run it took to capture it. His Blog is titled simply “Leor Pantilat’s Blog: Adventure Running!” and is packed with photography and detailed descriptions that seem better suited in National Geographic. I’ve followed Leor’s progress for a few years and became friends with him a year ago. I still have no idea how he fits everything he does into the same hours of the same days as the rest of us. He was gracious enough to answer a few questions for me and I appreciate it greatly. If he runs the North Face Championship 50 miler this December, I know where my bets for the winner will be placed. 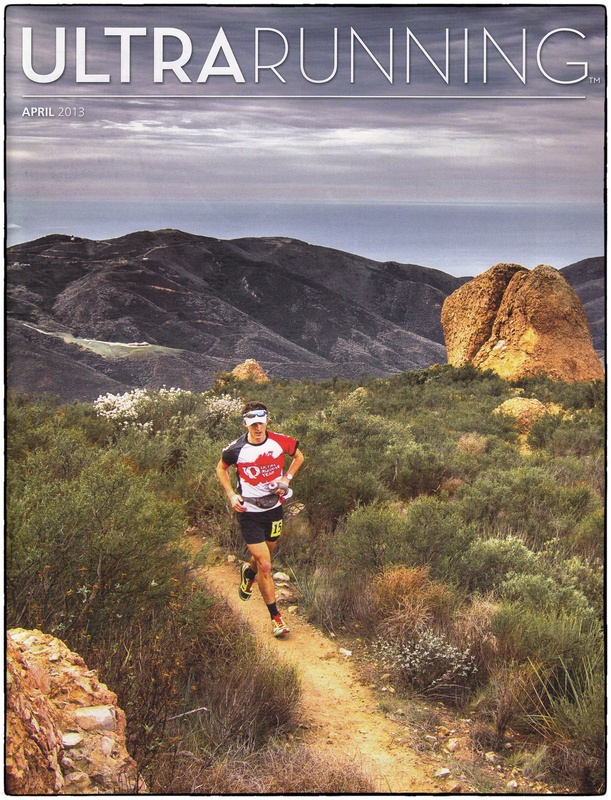 FF – You’re a somewhat unknown entity in the ultrarunning world, especially outside of California. To get people up to speed, can you tell us a bit about your background? Origin, family, upbringing, stuff like that. Leor – I grew up in Sammamish, a suburb of Seattle. Even before I could walk, my father introduced me to the outdoors with frequent hikes, wilderness backpacking and weekly ski lessons in the winter. I was inspired by my surroundings and wanted to someday climb the peaks that we saw from the trails. We also did a lot of travels to virtually all the national parks of the West (Canada and United States) as well as international eco-travels. My uncle and father were both elite distance runners and my family is heavily into exercise. My mother was a gymnast growing up and now holds masters records for powerlifting and Olympic style weightlifting. At the age of 60 she continues to compete (and dominate) at world masters competitions. One of my sisters just completed an ironman. FF – I’m not surprised to hear your family members are such accomplished athletes too. What about your running background? Did you run in school? Have you used a coach? Use one now? Leor – I started running track and cross country in junior high and continued through high school and undergrad. I always strove to be like my father and uncle, who achieved great success on the track. While I enjoyed being on the track and xc teams my favorite part was always the weekend long runs on the trails. I had a sense my heart lied in the single track paths of the forest. After undergrad, I did not run competitively (in any fashion) for over two years. I got a car down in CA for the third year of law school and discovered the amazing trails in the Bay Area. My mom suggested that I should enter an organized competition and I did so for the first time in the fall of 2007. Around this time I also started to hone in on applying ultra techniques to mountaineering objectives in the mountains, which often entail rock scrambling, glaciers and off-trail travel. With my adventure runs I aim to explore the most rugged and wild spots in the mountains. I didn’t quite measure up to my father and uncle on the track, but I found my true passion in the trails and mountains. I haven’t had a coach since undergrad track and cross country. I now run because I enjoy it. If I don’t feel like running (mentally or physically) on any given day, I don’t. I also don’t run for the sake of running; I need to be engaged and inspired by my surroundings, I need to run in beautiful places. FF – Running for pleasure seems to suit you well. You’ve pretty much dominated the distances at marathon and below and have shown the same talent for a couple of longer events. Are you transitioning to more ultra races, and, if so, what distances and types of races are you attracted to? While I have run a couple 50 mile races and will continue to occasionally race 50 miles, I’m probably not going to race longer distances for the moment (100k or 100m). I’m attracted to races that have nice scenery and are aesthetic, especially point-to-points or large loops. I enjoy fast courses where I can get into a rhythm but also challenging courses with lots of climbing like Ohlone [50k] or the Quad [Quad Dipsea]. I also like races with some tradition and history. While I don’t plan on races longer than 50 miles, I do, however, hope to transition to some longer adventure run objectives in terms of distance (not necessarily in terms of duration since I have done some technically oriented adventure runs over 24 hours). Some ideas include the Wonderland Trail around Mt. Rainier (94 miles), the John Muir Trail, and the High Sierra Trail from Whitney Portal to Cresent Meadows (72 miles). Anybody interested in helping with a 300 mile car shuttle for the High Sierra Trail?! FF – Are 50ks ultra-distances? 😉 I guess I meant that you’ve remained in a tight target of races that are relatively short and rarely race outside the 4 hour range or stray much from the West Coast. I’d definitely say you’ve embraced the adventure and wild aspect of ultrarunning. Your photos and video are stunning, to say the least. That being said, you are one of the most passionate and competitive runners I’ve seen. Some of the photos of you at the Quad Dipsea last fall looked liked you were running for your life, or a course record, which you nabbed with a 3:48. I heard you were looking to run 3:45 there this year? I also heard something about competing at the North Face Endurance Challenge 50 Miler. What are your plans with these races and any others for the rest of the year? It’s not really feasible to run both the Quad and the NF50 so I hope to do one of the two. I have done the Quad the past two years so it seems like it could be time to try the NF50. 3:45 on the Quad would be difficult for me since the course has returned to the trail instead of the Muir Woods Rd. This means I would have to run an equivalent ~3:42 on last year’s course to run 3:45 this year. Last year’s course was already longer than year’s prior with the addition of a long switchback descending into the Moors above Stinson Beach. While taken alone, these changes are not major, but they become substantial over the cumulative four legs of the Quad. I don’t have any definite plans yet for the rest of the year. I have a few great adventure run ideas I hope to do before the snow flies in the Sierras and perhaps a couple other races in the fall yet to be determined. FF – Personally, I’d love to see you run the NF50. How long have you been running for La Sportiva? What does that sponsorship entail? Travel, entry fees, shoes, cash incentive? I have been running with La Sportiva since 2008. The sponsorship entails fantastic La Sportiva trail running shoes and lots of excellent gear from associate partner sponsors. They also have a program with funds to help with travel or costs associated with interesting projects or focus races. Moreover, La Sportiva sponsors many trail races and most of these have comped entry fees for sponsored athletes. Most importantly, La Sportiva makes excellent footwear for the mountains and trails that work for me. The C-Lite 2.0 is my favorite all-around shoe at the moment that I have used in training, races, and long adventure runs. The 2013 line-up looks very exciting! FF – La Sportiva and its athletes rock. Love their shoes. 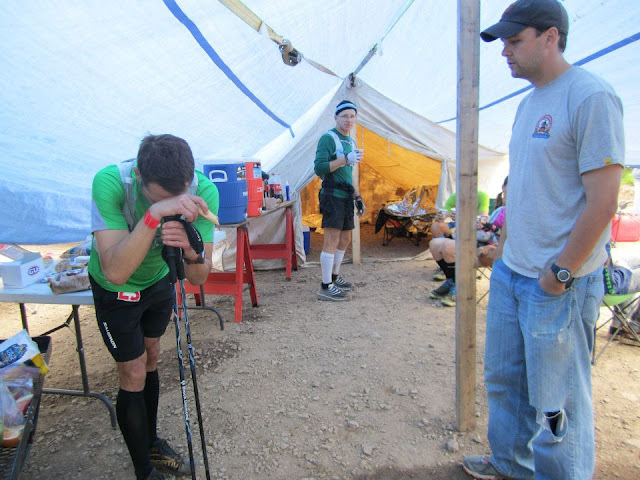 Moving on to competitors, do you admire or regularly follow any ultrarunners? If so, who? Do you read blogs and/or websites on the sport? Who do you think is the most promising ultrarunner out there today? Can be a veteran or unknown. I read iRunFar occasionally. I’m not a real groupie so I don’t regularly follow any athlete blogs, etc. I prefer photos vs long blocks of text so in appreciation of my own viewing desires my blog is heavily tilted toward visuals. 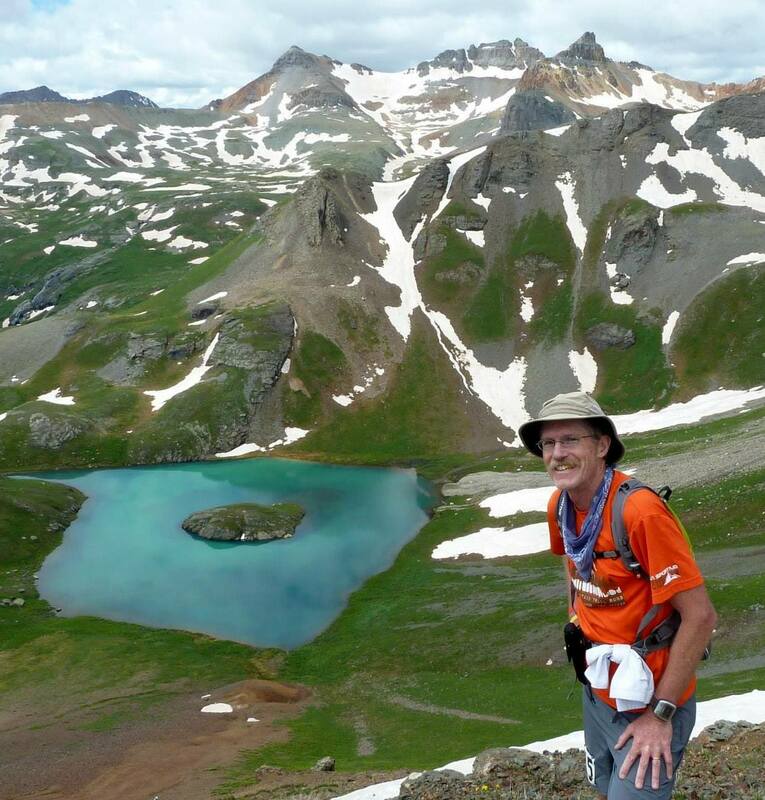 I admire ultra runners like Hal Koerner who have displayed longevity in the sport and continue to perform at a high level. For most promising known ultrarunner I would go with Sage Canaday as it seems he has great potential to rewrite the records at many events. It goes without saying that as ultrarunning grows you’ll see more talented runners entering the sport at a younger age so there will no doubt be many more promising ultrarunners on the scene soon. FF – You’re still very young yourself and, in my mind, an up-and-comer who could shake the ultrarunning world if you ventured into longer distances, but where do you see yourself in the sport of trail/ultra running in, say, 5 years? Hopefully enjoying the trails and being inspired by my surroundings, whether it be local training runs in the redwoods or long adventures in the mountains. FF – Speaking of long adventures, you’ve blended the worlds of highly competitive racing with adventure runs well. Your passion for both is obvious and inspiring. What is your philosophy on ultrarunning? Is it about the competition or the self exploration on your long adventure outings? What drives you the most in the sport? What’s your philosophy with running? I’m competitive when I toe the line in a race, but the heart of my passion lies in the wilderness on long adventure outings. It’s not necessarily about self exploration either, granted it is a big part of who I am. Accessing remote and wild destinations in a day that would otherwise require multiple days to backpack is a very rewarding feeling. It’s tough to beat experiencing nature in the purest form without aid stations, course markings, or sometimes even a trail. Add additional complexities like rock scrambling and glacier travel and I’m on cloud nine. I approach adventure runs differently than races as I enjoy the scenery and photography (often hundreds of photos). While this undoubtedly adds time, it would be very tough for me to reconcile all my enjoyment and approach it like a race. What’s the point of going to these beautiful places if your head is down the entire time? There are organized races for that. Julien Chorier wasn’t a common name in American ultrarunning, until the Hardrock 100 last month. On a longer course (by 2-3 miles) and under extreme conditions of higher snow, severe thunder and lightning storms that prompted Race Director, Dale Garland to say, “In 20 years of directing Hardrock, I’ve never seen it this bad”, Julien Chorier ran the third fastest time ever in 25:17 beating the next closest competitor in second place by nearly two hours. Of course, not being widely known in the US doesn’t mean he has been unknown elsewhere. 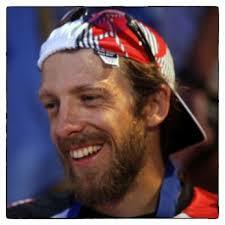 He placed 3rd overall at UTMB in 2008 and has won several high profile European races. His highlights may be seen on his website www.julienchorier.com. Julien was kind enough to give me a thoughtful interview, in which he basically provides a race report on Hardrock (it’s the first time he puts the experience to words for anyone). The interview was in French, so we’ve provided my English translation first and then the original French version following it. We hope you enjoy it. En anglais ici. Le français est après. Julien, first, thank you for taking the time to let us get to know you better. You come from a competitive cycling background. Tell us a little about your cycling career and any other athletic endeavors that lead you to running trails and ultras. JC: I began the sport in 97 for fitness, then raced bikes competitively from 98 to 2006. I road in all categories of the ffc moving me almost solely towards the cyclosportives (distance road racing like Gran Fondos) the 2 last years (the mood and the distance suited me better). The mood in trail running is more relaxed and friendly than in bicycle. I think that the fact that in trail running one cannot hide behind a team, relying on oneself, favors the good mood. 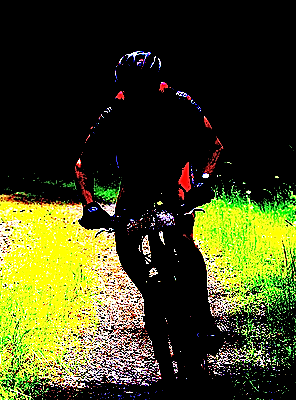 The level must be similar between the big trail races and the big cyclosportives. With my school studies and work, the cycling took up too much time. In May 2006, I hung up the bicycle. In September, I did the turn of the lake of the Bourget with friends. Next, someone asked me to do the Sainté on a team. I accepted, but the wasn’t good at uphill running. I decide therefore to do the Sainté solo. This is my first “big” race. Evidently, as my first experience, I went out too fast but I was able to finish strong. I got the bug for trail running/racing. I registered for the CCC in 2007 with the Turn of the Vanoise in prépa. And then everything followed after that. Do you compete in any other sports besides trail running such as skiing? JC: No, I do other sports just for fun and enjoyment. Can you briefly describe your typical racing season from the last few years? For instance, have you been active in the Skyrunner World Series and the Skyrunning European Championships? JC: I’ve never ran in skyrunning. I target my season on 2-3 big objectives and participate in 3-4 shorter races for the preparation. Tell me briefly about the competition. Are there a lot of talented mountain runners competing regularly in Europe? JC: Yes, the level is mostly amateur in Europe until the last 3-4 years. There are very few pro racers but a good group of twenty or so very strong racers. What is your impression of American ultra and trail running? How is it different or similar from the European runners and races? JC: The level of the racers is similar to Europe. For the only race that I know personally in the US [Hardrock], the difference is the altitude, the number of racers [fewer], the less course marking, the absence of mandatory equipment and less amount of runner safety/support. You have a wife, two small children and a full-time job. How do you find the time to train? What does a typical training week look like for you? How many hours do you spend training per week? JC: 6 training sessions [per week] of which one on bicycle. On the 4 running sessions, I train 1h30 – 2hrs, then one track session (in the spring I’ll do 15x500m, more in summer) and sometimes specific sessions. I rest on Mondays. The schedule with my job of engineer is difficult, per week I sometimes train 6hrs to 12hrs, sometimes up to 19rs… On average 10 hrs per week. Does working with Solomon provide you enough resources to train more and work a little less? How beneficial has it been working with Solomon? JC: The expertise of salomon allows me by far to progress and to have the equipment enabling me to reach my full potential. American ultra runners obviously know him but now you’ve burst onto the scene (here in the USA). Do you have plans to race in the USA again? Are you coming back to Hardrock next year? Any other races here that interest you? JC: I wish enormously to return to the US. For the moment it is too far to say it but I do not think so. I would prefer to compete in one or other races (in mountain nonetheless). I know not very well the American races, which ones do you recommend? You’re just coming off probably the most impressive win at Hardrock 100. With the weather, high water, and snow conditions, it was an epic race. How did the race go for you? Did you plan to take the lead and keep it all day? JC: The race went very well: Despite (or because of) the low number of participants, the mood before the start is very warm and friendly. I was talking and not paying attention at the start, so I started in the middle of the field. It wasn’t a big deal, the race is long. The course is 160k and 10,420m climb. Early in the beginning, Daniel Levy (one of the 3 French) takes the lead of the race. After some miles through the forest one attacks the first long climb on a 4×4 road heading for Little Giant. Three of us are together, 3 French-speaking ones: Daniel, Joe Grant, and me. The pace is moderated, not wishing to follow the pace of other racers, I take the lead of our small group. It passes near an old mine. This passage marks the end of the main trail, cut by a large snowfield. I continued straight ahead. I end up with Dakota Jones and my two buddies who are turned around 50m behind. I quickly changed my bottles before leaving directly for additional 1000m towards Green Mountain. The view from the top in the meadow lets me see below (2-3min) Joe, Daniel and Dakota. The next section, about twenty km profile will be more down but still two climbs to nearly 4000m, mostly overall running on trails or waterlogged meadows, crossing numerous streams. I pass through the next two aid stations quickly Maggie (9:22 [3:22 into race]) and Pole Creek (10:08). I’m always slightly ahead of my most optimistic expectations, reassuring? Disturbing? The marking being light enough, I had to twice check out the map to make sure I was following the right path though. I was reassured at the second aid station where I found my crew at 11:48. I’m just in my split predictions. Sherman is the supply just before the rise of Handies Peak, the highest point of the race with 4311m [14,144 ft]. So I get the trekking poles for the climb of 1500m. The beginning is very steep in the forest and then undertakes a long 4×4 path (about 6km) where I force myself to jog. It is surrounded by huge peaks, all far away. Which one is ours? Gradually things get clearer, I recognize the top to reach and take assess of the magnitude of the task. I spent a little more than 2:20 in the climb. The last 200 m to over 4000m will be really hard. It is 2:13 p.m.. I am relieved to get lower towards Grouse Gulch (3:19 p.m.). The aid station is on a 4×4 road that leads us up to Engineer Pass. This portion will be the least enjoyable of the race for me, just over eight switch backs and 700m in altitude over a wide track very popular with 4×4 and quads. It precedes the long descent (1600m) to the low point of the race, Ouray (2400m). After a few hundred meters down from snowfields and meadows in the middle of the forest is aid station Engineer, it is 5:05pm. I’m starting to get a little behind my split predictions. This next descent is very impressive, it takes a long trail on the side of a canyon for several miles with the river rumbling over 100m below. Mistakes are not allowed. The end of the descent is marked by the passage of a tunnel that connects Ouray to Silverton by road. I am very reassured to get to this point without any problems. This is a bit of similar halfway point you can compare to Fouly at UTMB or Cilaos at the Grand Raid de la Réunion. So we start to climb more than 1600m [5249 ft) in 17km [10+ miles]. The exit out of Ouray goes through a small tunnel where you have to keep your head down and then is along a giant Canyon. Following is less bucolic: 10 turns on an endless road. Ryan’s mission was to force me to run. Mission accomplished. We arrive for fueling at Governor basin aid station that marks the end of the road. The first storms broke, the summit is lost in the mists, we will still have to go. With night beginning to fall, increased by the stormy weather, darkness is catching up quickly. The last 600 m in the direction of Kroger’s [Virginius Peak] are typical of the peaks for this race. Climb right into the slope on a frozen snowfield. Steps were cut and fixed ropes to climb to the top. It is pleasant and unlikely to find a refueling like this perched up there, with pancakes, hot soup, luxury. A cozy place that feels good after almost 3 hours of climbing in which half of it is with the storms (9:23 p.m. [15:23 into race]). I always have fun in downhill races and run down to Telluride. In the descent I regret a little my excess food intake at the last aid, I feel bloated and starting to have trouble eating and drinking. At Telluride, we reach a familiar and comfortable setting. The whole team is there to greet us. It is 10:12 p.m.. Change of shoes to make it up Oscar’s Pass via a path that entails Veil Falls. The first kilometers are flat on the road before committing to a long climb to the hydraulic unit [old building with hydro-power equipment]. Following the usual conditions all day, here it is many more snowfields to the top of Oscar’s Pass. The beginning of the descent is a path with many rocks, we must be careful. After crossing the two snowfields marked by the course, running up the path we come to Chapman aid station. It’s 1:40 [19:40 into race], I was told 45 minutes ahead of Nick and Dakota. Despite my sore belly morale is good and I’m ready to go with my new pacer, Rickey [Gates]. The climb is really nice, the road winds through the woods before reaching the end. After a few passages of snow without difficulty, we find ourselves at the foot of the last wall [the final pitch of Grant Swamp Pass]. The final slope of loose earth and small stones, traction is difficult to find. You have to go up on hands and feet the last 100 m elevation. With the night you cannot enjoy the beautiful view of Ice Lake Basin. I slipped on the descent of a snowfield and ended my slide in the gravel, the skin is shredded but nothing serious, we can resume our journey to KT. The descent is long but enjoyable. The final section takes place on a balcony of a path and is slightly downhill. At the aid station of KT, I find it difficult to eat and drink, I start to feel tired. It is just after 4 am. Speaking of headlamps, mine shows some signs of fading and flashes. Fortunately the day is coming and I would not be embarrassed. In the descent we cross a race official, I ask spreads on 2nd place and he told me that at the last point, KT, I must have 5-6 min. Damn, quite a blow to morale. After 90 miles in front and all the personal and family investments made to prepare for this race it seems to me inconceivable to me to be caught now. I pass the gap of us over 2nd to Rickey and he throws me into the descent as fast as possible. With fatigue, some dehydration, I trip regularly on the rocks, roots, I am more scared but remain on the trail. The approach of the last river crossing is a relief and the finish is close. I keep looking back and see no sight of Dakota. At the river, wanting to take the rope, I fell forward and narrowly avoid plunging in. I calm down a little because getting through the current is very important. On the other side of the river the whole Salomon team is there to encourage me. They inform me a gap of almost 2 hours, I cannot believe them. I leave at a run on the cliff-side path that will dive onto Silverton. I just begin to feel reassured and start to consider the victory and I feel overwhelmed by emotions. I go through Silverton with euphoria accompanied by Rickey and Adam. The line is near, I did it. Last mile, the rock is in front of me, I love it the site of it, I kiss it. Dale (Hardrock Race Director) handed me the medal and finisher t-shirt. What was the most difficult part of Hardrock for you? JC: Apart from the last km, the long 4×4 road climb up Engineer pass. Does it compare to any races you’ve done in Europe such as UTMB? JC: One of the biggest differences is the technicality of the various ascents in the latter half. Very technical and involved. Then the altitude of the course makes things much harder (min 2400m [7874 ft] avg 3500m [11,483 ft] max 4311m [14,144 ft]). In contrast there are also parts of very long climbs. The course marking is much lighter and a lot of concentration (and map) are required. You took 3rd at UTMB in 2008. How do you feel leading up to UTMB this month? JC: This year I did not wish to participate at UTMB. A break will allow me to return to the race with more desire. Which Europeans do you feel have the best chance at top 10 at UTMB? What about the many Americans coming to the race this year? Of them which do you feel have the best chances? Julien, thanks so much. We so appreciate your time and insight. Again, congratulations on an epic win at Hardrock and best of luck at your next race. JC: Thank you and see you in the US in 2012. Bursting down the Hardrock finishing chute. 1. Julien, d’abord, vous remercier d’avoir pris le temps de nous laisser aller à mieux vous connaître. Vous venez d’un milieu du cyclisme de compétition. Parlez-nous un peu sur votre carrière de cycliste et de tout autres efforts athlétiques qui vous mènent à l’exécution des sentiers et des ultras. JC: J’ai débuté le sport en 97 par une année d’athlétisme, je suis ensuite passé au cyclisme de 98 à 2006. J’ai couru dans toutes catégories ffc pour m’orienter presque uniquement vers les cyclosportives les 2 dernières années (l’ambiance et les parcours me convenaient mieux). L’ambiance en trail est bien plus détendue et conviviale qu’en vélo. Je pense que le fait qu’en trail on ne puisse pas se cacher favorise la bonne ambiance. Le niveau doit être similaire entre les gros trails et les grosses cyclosportives. A la sortie des études, avec le travail, le vélo me prenait trop de temps. En mai 2006, je raccroche le vélo. En septembre, je fais le tour du lac du Bourget avec des amis. Ensuite, on me propose de faire la Sainté en équipe. J’accepte, mais l’équipe ne peut se monter. Je décide donc de faire la Sainté en solo. C’est ma première « grosse » course. Évidemment je suis parti trop vite pour une première expérience mais je termine au courage. J’ai pris le virus. J’inscris la CCC à mon programme 2007 avec le Tour de la Vanoise en prépa. Et voilà, tout s’est enchaîné ensuite. 2. Avez-vous concurrencer dans tous les sports autres que le trail running, comme le ski? JC: Non, je pratique les autres sports justes pour le plaisir ou l’entrainement. 3. Pouvez-vous décrire brièvement votre saison de course typique des dernières années? Par exemple, avez-vous été actif dans les World Series Skyrunner et les Championnats du Skyrunning européenne? JC: Je n’ai jamais couru en skyrunning. Je cible ma saison sur 2-3 gros objectifs et participe à 3-4 courses plus courtes pour la préparation. 4. Dites-moi quelques mots sur la concurrence. Y at-il beaucoup de coureurs de montagne de talent concurrentes régulièrement en Europe? JC: Oui, le niveau est de plus en plus élevé en Europe depuis 3-4 ans. Il n’y a Presque pas de coureurs pro mais une bonne vingtaine de coureurs très forts. 5. Quelle est votre impression de l’American ultra trail? Comment est-elle différente ou semblable de l’coureurs européens et les courses? JC: Le niveau des coureurs est semblable à l’Europe. Pour la seule course que je connais aux us, la différence est sur l’altitude, le nombre de coureurs, le faible balisage, l’absence de matériel obligatoire et la faible sécurité. 6. Vous avez une femme, deux petits enfants et un emploi à temps plein. Comment trouvez-vous le temps de former? À quoi ressemble un entraînement typique semaine pour vous? Combien d’heures passez-vous d’entraînement par semaine? JC: 6 séances dont une en vélo. Sur les 4 séances course à pieds, il y a une sortie nature d’1h30 – 2h, une séance de piste (au printemps du type 15x500m, plus en été) et une séance de spécifique (travail en côtes : 30/30). J’essai de garder le lundi comme jours de repos. En moyenne, cela fait 10h par semaine. 7. Le fait de travailler avec Salomon vous fournir assez de ressources pour former plus et travailler un peu moins? Comment at-il été bénéfique de travailler avec Salomon? JC: L’expertise de salomon me permet de beaucoup progresser et d’avoir un matériel au plus proche de mes attentes. 8. Parlant de Kilian, American coureurs d’ultra évidemment lui faire savoir, mais maintenant que vous avez fait irruption sur la scène (ici aux USA). Avez-vous des plans pour la course aux Etats-Unis à nouveau? Allez-vous revenir au Hardrock l’année prochaine? Allez-vous revenir au Hardrock l’année prochaine? Toute les autres races qui vous intéressent ici? JC: Je ne connais pas très bien les courses américaines, lesquelles vous conseillerez ? 9. Vous êtes juste se détacher sans doute la victoire la plus impressionnante au Hardrock 100. Avec le temps, l’eau élevée, et les conditions de neige, il a été une course épique. Comment fait la course aller pour vous? Avez-vous l’intention de prendre les devants et le garder toute la journée? Malgré (ou grâce) au faible nombre de participants l’ambiance avant le départ est très chaleureuse et conviviale. Je discute et ne fais pas attention au départ, je dois partir en milieu de peloton. Pas bien grave, la route est longue. Après la course j’ai 160km pour 10420m de dénivelé. Dès le départ Daniel Levy (un des 3 français) prend la tête de la course. Après quelques miles qui serpentent en forêt on attaque la première longue montée sur une piste à 4×4 en direction de Dives-Little Giant. On se retrouve à 3 francophones : Daniel, Joe Grant et moi. L’allure est modérée, ne souhaitant pas subir le rythme ou les à-coups d’autres coureurs, je prends la tête de notre petit groupe. On passe à proximité d’une ancienne mine. Ce passage marque la fin de la grande piste, coupée par un gros névé. Je continu tout droit. Je vois une marque de la course en dessus, je me retrouve à monter à 4 pattes dans l’herbe pour rejoindre le sentier. Je me retrouve avec Dakota Jones, mes 2 compères ayant fait demi-tour sont 50m derrière. Je change rapidement mes bouteilles avant de repartir directement pour 1000m supplémentaires en direction de Green Mountain. La montée en lacets dans la prairie me laisse voir en contrebas (à 2-3min) Joe, Daniel et Dakota. La portion suivante, une vingtaine de km sera à profile plutôt descendant avec quand même 2 remontées à presque 4000m. Une partie globalement courante sur des sentiers ou prairies gorgées d’eau, on traverse de nombreux ruisseaux. Passage express à Maggie (9h22) et Pole Creek (10h08). Je suis toujours légèrement en avance sur mes prévisions les plus optimistes, rassurant ? Inquiétant ? Le marquage étant assez léger, j’ai du à 2 reprises sortir la carte pour vérifier que je suivais bien le bon chemin. J’arrive rassuré à la seconde aid station ou je retrouve toute l’équipe à 11H48. Je suis juste dans mes prévisions. Sherman est le ravitaillement juste avant l’ascension d’handie Peak, point haut de la course avec 4311m. Je récupère donc les bâtons en vue de cette montée de 1500m. Le début est très raide dans la forêt puis on s’engage sur une longue piste à 4×4 (environ 6km) où je me force à trottiner. On est entouré de sommets immenses, tous très loin. Lequel est le notre ? Petit à petit les choses se précisent, je reconnais le sommet à atteindre et prends mesure de l’ampleur de la tâche. J’aurais passé un peu plus de 2h20 dans cette montée. Les 200 derniers m à plus de 4000m seront vraiment durs. Il est 14h13. Je suis soulagé de me lancer dans la descente sèche en direction de Grouse Gulch (15h19). Le ravitaillement se situe sur une piste à 4×4 qui nous permet de rejoindre Engineer Pass. Cette portion sera la moins agréable de la course, un peu plus de 8 bornes et 700m de dénivelé sur une large piste très fréquentée par les 4×4 et quads. Elle précède la longue descente (1600m) vers le point bas de la course, Ouray (2400m). Après quelques centaines de m de descente entre névés et prairies j’atteints un ravitaillement au milieu de la forêt. Engineer, il est 17h05. Je commence à prendre un peu de retard sur mes prévisions. Cette descente est vraiment impressionnante, on emprunte une longue sente à flan d’un canyon sur plusieurs km, on entend gronder le torrent 100m plus bas. Le faux pas n’est pas autorisé. Une belle photo de Nick traversant un des nombreux torrents. La fin de la descente est marquée par le passage sur un tunnel qui permet de relier Silverton à Ouray par la route. Je suis très rassuré d’arriver à ce point sans aucun problème. Il s’agit un peu du bilan de mi-course qu’on peut faire à la Fouly à l’UTMB ou à Cilaos au Grand Raid de la Réunion. On part donc pour plus de 1600m de grimpette en 17km. La sortie d’Ouray passe par un super Canyon et un petit tunnel où il faut baisser la tête. La suite est moins bucolique : 10 bornes de piste sur lesquelles Ryan avait pour mission de me forcer à courir. Mission accomplie. On arrive en trottinant au ravitaillement de Governor basin qui marque la fin de la piste. Les premiers orages ont éclaté, le sommet est noyé dans les brumes, il va quand même falloir y aller. La nuit commence à tomber, accentuée par le temps orageux, l’obscurité nous rattrape rapidement. Les 600 derniers m en direction de kroger’s sont typiques des fins de sommets de cette course. Grimpée droit dans la pente sur un névé gelé. Des marches ont été taillées et une corde fixe permet de se hisser vers le sommet. Il est agréable et improbable de trouver un ravitaillement perché là-haut, avec crêpes, soupe chaude, le luxe. Un endroit chaleureux qui fait du bien après presque 3h de montée dont la moitié sous les orages (21h23). Je prends toujours beaucoup de plaisir dans les descentes et dévale vers Telluride. Dans la descente je regrette un peu mes excès alimentaires au ravitaillement précédent, je me sens ballonné et commence à avoir du mal à boire et manger. À partir de Telluride, on arrive sur la partie déjà reconnue, c’est confortable. Toute l’équipe est là pour nous accueillir. Il est 22h12. Changement de chaussures et c’est reparti pour Oscar’s Pass en empruntant une variante qui passe par Veil Falls. Les premiers km sont à plat sur la route avant de s’engager sur une longue piste jusqu’à la centrale hydraulique. La suite comme d’habitude devient plus technique avec de nombreux névés jusqu’au sommet, Oscar’s Pass. Le début de la descente est un sentier avec de nombreux blocs, il faut être vigilant. Après la traversée des 2 névés « sécurisés » par l’organisation, le chemin devient roulant jusqu’à Chapman. Il est 1h40, on m’annonce 45 min d’avance sur Dakota et Nick. Malgré mon mal de bide le moral est bon et je suis prêt à repartir avec mon nouvel accompagnateur, Rickey. La montée est vraiment agréable, le chemin serpente dans les bois avant de déboucher sur la dernière partie. Après quelques passages enneigés sans difficulté, on se retrouve au pied du dernier mur. La dernière pente est en terre et petits cailloux, l’adhérence est difficile à trouver. On monte à 4 pattes les 100 derniers m de dénivelé. Avec la nuit on ne peut pas profiter de la superbe vue sur Ice Lake Basin. Dans la descente je glisse sur un névé et fini ma course dans les graviers, le cuir est râpé mais rien de grave, on peut reprendre notre route vers KT. La descente est longue mais agréable. La dernière partie s’effectue sur un chemin en balcon en légère descente. Au ravitaillement de KT, j’ai toujours du mal à boire et manger, je commence à me sentir fatigué. Il est un peu plus de 4h du matin. En parlant de frontale, la mienne donne quelques signes de fatigue et clignote. Heureusement le jour approche et je ne serais pas gêné. Dans la descente on croise une personne de l’organisation, je redemande les écarts et il m’annonce qu’au dernier point, KT, je devais avoir 5-6 min. Mince, je me prends un sacré coup au moral. Après avoir fait 90 miles devant et vue l’investissement perso et familial pour préparer cette course il me parait inenvisageable de me faire rattraper maintenant. Je m’explique à Rickey et me lance au plus vite dans la descente. Avec la fatigue, une certaine déshydratation, je tape régulièrement les pieds sur cailloux, racines, je me fais plusieurs frayeurs mais reste sur le sentier. L’approche de la dernière rivière à traverser me soulage et annonce l’arrivée proche. Je me retourne toujours et ne vois pas revenir Dakota. A la rivière, en voulant prendre la corde, je tombe en avant et évite de peu le plongeon. Je me calme un peu et traverse surement malgré le courant très important qui m’emporte. De l’autre côté de la rivière toute l’équipe Salomon est là pour m’encourager. Ils m’annoncent un écart de presque 2h, je n’arrive pas à les croire. Je repars au pas de course sur le chemin en balcon qui va plonger sur Silverton. Rassuré je commence juste à envisager la victoire et me sent submergé par les émotions. Je traverse Silverton euphorique accompagné de Rickey et Adam. La ligne est proche, je l’ai fait. Dernière ligne droite, le rocher est face à moi, je l’aime, je l’embrasse. Dale (Hardrock Race Director) me remet la médaille et le t-shirt de finisher. 10. Quelle a été la partie la plus difficile du Hardrock pour vous? 11. Est-il comparer à des courses que vous avez fait en Europe tels que l’UTMB? JC: Une des plus grosses différences est la technicité dans la dernière moitié des différentes ascensions. Vraiment technique et engagé. Ensuite l’altitude du parcours rend les choses bien plus dures (min 2400 moy 3500 max 4250). A l’opposé il y a également de très longues parties sur des pistes à 4×4. Le balisage est beaucoup plus léger et demande beaucoup de concentration (et une carte). 12. Vous avez pris 3ème à l’UTMB en 2008. Comment vous sentez-vous menant à l’UTMB ce mois-ci? JC: Cette année je n’ai pas souhaité participer à l’utmb. Faire une pause va me permettre de revenir sur cette course avec plus d’envie. 13. Quels Européens ne vous sentez avoir la meilleure chance au top 10 à l’UTMB? Qu’en est-il beaucoup d’Américains à venir à la course cette année? Parmi eux, qui vous sentez-vous avoir les meilleures chances? Julien, merci beaucoup. Nous apprécions votre temps et votre perspicacité. Encore une fois, félicitations pour une victoire épique à Hardrock et bonne chance à l’UTMB et au-delà.